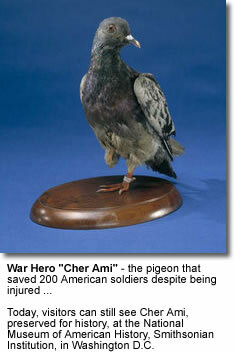 Homing pigeons are called messenger pigeons when they are used to carry messages. Messages have to be written on light, thin paper (such as cigarette paper) and rolled into a small tube that is attached to the bird's leg. This is called "pigeon post." They have also been used to carry small light-weight packages, in including smuggling drugs into prisons. 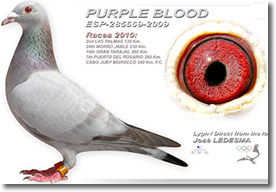 In recent history, they are mainly used for the sport of pigeon racing. They have been bred for racing and can reach speeds between 60 - 80 miles per hour. They can fly up to 80 to 600 miles in one single day. During the Franco-Prussian War of 1870–1871, the Prussians had surrounded the city of Paris preventing mail from entering or leaving the city. During the course of the siege, pigeons and mail were regularly taken out of Paris by hot-air balloons. The letters that were sent to Paris were first reduced in size by photography, so that 30,000 letters could be carried on film placed inside a canister. These canisters were attached to pigeons and these birds then flew into Paris. Thirty-five birds carried the same letters, so that if any were shot down, at least one would reach Paris. In Paris, the film was projected on a screen, and the letters were copied by hand and delivered to homes in the city. These birds have been used to transport short messages across long distances. In fact, historically well-known leaders, such as Julius Caesar and Genghis Khan, have used them to carry important messages across long distances. One of the world’s best known news agencies, Reuters, started its European business by using 45 trained birds to carry financial news on the continent in 1850. They carried the latest news and stock prices from Aachen in Germany to Brussels in Belgium, travelling the 76 miles in a record-breaking two hours - beating the railway by four hours. The Chinese used them to deliver mail as long ago as 1000 B.C. White homing pigeons are released at weddings, funerals, and some sporting events. After the "release" - the pigeons will fly black to their lofts.